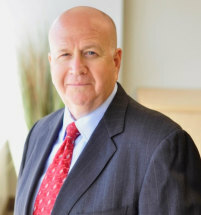 Backed by more than three decades of legal experience, attorney Schimmel is devoted to providing his clients with top-tier, professional services day in and day out. Due to his passion, attorney Schimmel cofounded Schimmel & Parks, APLC, in order to help those in need. While he possesses a wide range of legal skills, attorney Schimmel focuses the majority of his practice handling cases involving bad faith insurance, property damage, employment law, homeowners associations and construction defects. Over the years, attorney Schimmel has demonstrated a commitment to pursuing legal distinction. As a result, he is AV Preeminent* peer-review rated through Martindale-Hubbell. Additionally, he has recovered millions of dollars for various clients throughout Southern California. Currently, he is admitted to practice in the U.S. District Court for the Central District of California, the U.S. District Court for Nevada, the Ninth U.S. Circuit Court of Appeals, and the Supreme Court of the United States.